Sir Francis Bacon, The Count of St. Germain, the Supernova of 1604 and the 800 Year Spiritual Cycle. Drugs, The Great Usurper of the Spiritual Path; A Fable? There are many more pages from Agni Yoga scattered throughout Reverse Spins. Put 'Morya' in the Google Search bar to find these sometimes hidden treasures. "The Life after Death ..."
• Screwtape: The Real Manchurian Candidate? Psychic prediction is based on man's free will and is sometimes more accurate but not necessarily God's Will. True prophecy comes from God as a warning for man to change his ways and pray for intercession. Qualities of the 1st Ray: God's Will, Protection and Government; Color: Blue; Chakra: Throat, 16 petal blue lotus. "Three centuries after the departure of the Blessed One [Buddha], His disciples were already infected with religious strife. After only a century, Christianity manifested extreme intolerance. The last utterances of Mohammed were immediately followed by fanaticism. Religious controversies always destroy the sense of the true Teaching; therefore We now call for special tolerance and We reject controversies." Agni Yoga (1929) - 469. "Note the times of great events. Already the Vedas are coming together with the Tripitaka and the Kabbala. The teachings of Buddha and the words of Christ and of the Teachers are dispelling ignorance. Carefully observe the growth of knowledge in diverse parts of the world. Both the affirming and the denying ones walk in one direction. The time is unrepeatable, like a gate into the preordained. Dead are those who see the determined hour as an ordinary one." El Morya from Agni Yoga (1929) - 92. "Advise the young scholar to collect everything regarding Fire from the most ancient teachings. Let the Puranas of India, the fragments of the Teachings of Egypt, Chaldea, China, Persia, and absolutely all teachings of the classic philosophy not be overlooked. Of course, the Bible, the Kabbalah, and the Teachings of Christ, all will yield plentiful material. Likewise, the assertions of the most recent times will add to the valuable definitions of Agni. Such a compilation has never been made. Yet can one advance toward the future without gathering the signs of millennia?" 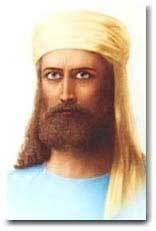 El Morya from Fiery World - Book 1 (1933) - 311. "Each era chooses its new, corresponding Teaching, when all previous Teachings have become distorted. People tend to cling to these twisted distortions of the faith of their forefathers, yet no new Teaching ever excludes preceding ones. Little attention is paid to this fact, for the followers of every Teaching like to build their success on denial of the previous Teachings. But it is easy to prove the continuity of what people call religion. In this continuity is sensed a single stream of one energy. Calling it psychic energy, we speak of the Sophia of the Hellenic world or Sarasvati of the Hindus. The Holy Ghost of the Christians manifests signs of psychic energy, just as do the creative Adonai of Israel, and Mithra of Persia, full of solar power. Certainly, no one doubts that the Fire of Zoroaster is the Fire of Space, which you now study." El Morya from Agni Yoga (1929) - 416. "It may be asked in what relation Our Teaching stands to the one already given by Us through Blavatsky. Answer that each century, after the manifestation of a detailed exposition, a conclusive culmination is given, which actually moves the world, along the line of humaneness. Thus, Our Teaching includes the "Secret Doctrine" of Blavatsky. Similarly, Christianity was the culmination of the world wisdom of the classic epoch, and the Commandments of Moses were the culmination of that of ancient Egypt and Babylon. However, the significance of the ramiform Teachings must be understood. It is hoped that people not only read Our books but accept them without delay, for I speak briefly of that which must be remembered." Fiery World - Book 1 (1933) - 79. "Great Service has called forth everywhere much misunderstanding. To people it usually has the aspect of something unattainable. They hope that responsibility for such Service will pass them by. But let us reflect upon certain great Servitors. Let us see if They were unapproachable supermen. Pythagoras and Plato and Boehme and Paracelsus and Thomas Vaughan were men who bore their lamps amidst their fellow-men in life under a hail of non understanding and abuse. Anyone could approach them, but only a few were able to discern the superearthly radiance behind the earthly face. It is possible to name great Servitors of East and West, North and South. It is possible to peruse their biographies; yet everywhere we feel that the superearthly radiance appears rarely in the course of centuries. One should learn from reality." Brotherhood (1937) - 175. Autobiography of a Yogi by Paramahansa Yogananda. Just read this for the second time in twenty years, that's why it's first. It also happens to be a tremendous book. The most important concept is that one can be an advanced yogi like Lahiri Mahasaya, Sri Yukteswar and Yogananda and still live in the world with a spouse, etc..
Alchemy of the Heart by Elizabeth Clare Prophet and Patricia Spadaro. Just read this one too. What a precious book. It's sure to open your heart in ways you didn't know needed opening. Chronicles of the Tao by Deng Ming-Dao; If you like Crouching Tiger, Hidden Dragon, I think you'll like this book. It follows the life of Kwan Sai Hung in the first part of this century as he follows the path of Taoism taught to him by the Grand Master himself, in the Huashan Mountains of China. Just a fanastic, engrossing read. The Illustrated World's Religions: Guide to Our Wisdom Traditions by Huston Smith; This is the classic re-published with some very fine illustrations. Mr. Smith does not go into a great amount of detail for each religion but he does treat each one with the utmost respect and understanding. There is probably not a better book out there on the world's major religions. If I'm not mistaken, I believe some of the original text was sacrificed to make room for the pictures. Unveiled Mysteries by Godfre Ray King. Unsurpassed in unveiling spiritual truths while being an engrossing read at the same time. Filled with exciting stories e.g., the life long quest of David Lloyd. He was told as a boy by an Indian adept, that a man on a North American mountain would help him make his Ascension. In one of the most thrilling passages in all of esoteric literature, David Lloyd nearly jumps out of his skin when he finally finds the man on Mount Shasta who offers him the cup of elixir that will accelerate him beyond the bounds of gravity, time and space. The Magic Presence by Godfre Ray King. A continuation of Unveiled Mysteries following the exploits of Guy Ballard as he interacts with Masters, spiritual adepts and seemingly normal people but with a great deal of attainment, throughout the U.S. and Europe. The Masters and the Path by C. W. Leadbeater. I picked it up recently and opened to this: "He (the Master) answered to the following effect: 'You must find work for yourself; you know what we are doing. Throw yourself into your work in any way you can. If I gave you a definate piece of work to do you would do it, but in that case the karma of what was done would be mine, because I told you to do it. You would have only the karma of willing obedience, which, of course, is very good, but it is not the karma of initiating a fruitful line of action. I want you to initiate work for yourself, because then the karma of the good deed will come to you.'" Ch. 3, p. 52. Life and Teachings of the Masters of the Far East by Baird Spalding (six volumes). An undisputed classic and the first vehicle for many on the Path who learn for the first time that there are adepts helping the planet just beyond the veil. My fondest memory of these books is a scene where Jesus and Buddha appear hand and hand before some surprised guests at a retreat in the Himalayas. A sixth volume has recently been published. Excerpt from Volume one, Chpater 10: Emil on America. The Power of Now: A Guide to Spiritual Enlightenment by Echart Tolle. I can't recommend this book enough. The tapes are great too. Very Zen. I liked his concept that people walking around talking to themselves are not much different from 'sane' people who have conversations in their head. It's about listening to the still, small voice of God instead. The Lost Years of Jesus by Elizabeth Clare Prophet; The story of Jesus' missing 12 years spent traveling in India and Tibet. The stories of four eye witnesses who saw documentary evidence in Tibet in the early 1900's is included. The Edgar Cayce Companion: A Comprehensive Treatise of the Edgar Cayce Readings -- by B. Ernest Frejer (Compiler); Paperback; The title says it all. Cayce brought forth all sorts of knowledge on healing, Jesus, the false gods and Atlantis. Your Seven Energy Centers by Elizabeth Clare Prophet and Patricia Spadaro. Review at Amazon from Whitegate, Cheshire Great Britain: ... - I bought it ... last year and I use it all the time as a superb reference book. It has more than enough information to enable everyone from complete beginners to more knowledgeable folk to understand and learn about how our chakras work and what they do and mean. It is well laid out with graphics and clear explanations. Please, if you get chance, find this book and keep it by your bedside - it is wonderful for healers (I am a Reiki master) and spiritualists alike. The Gospel of Thomas by Marvin Meyer. From Amazon: The gospel according to Thomas is an ancient collection of sayings attributed to Jesus and thought to be recorded by his brother Judas, the Twin (Thomas means "twin" in Aramaic). Some scholars suggest that this gospel was collected from New Testament sayings, while others believe it springs from a completely independent author because many of the quotations are not in the New Testament at all. It slept for two millennia in a stone jar until it was accidentally exhumed by a group of fertilizer gatherers in the northern Egyptian desert in 1945. The Lost Teachings of Jesus by Marvin Meyer. From Amazon: In this volume, Marvin W. Meyer has produced a new English translation for general readers of four of the most important and revealing of these early Christian texts -- the Secret Book of James, the Gospel of Thomas, the Book of Thong, and the Secret Book of John. - Masonic Orders of Fraternity (1950), a fascinating work of short history that chronicles the reemergence of Freemasonry in Europe in the seventeenth and eighteenth centuries. It surveys the lives of Masonry's modern architects and the secretive organizations that immediately preceded the brotherhood. This three-in-one volume features the original illustrations of each book, for a total of nearly thirty images, including recreations of scenes and rites from Masonry's unusual history. It also includes a new index encompassing all three titles. The Masters and Their Retreats. Compiled and Edited by Annice Booth. This is the definitive book on Masters, Saints, Buddhas and Yogis who have transcended the mortal consciousness we are all still stuck in. They exist, just out of reach beyond the physical but ready to assist those who know how to make contact. If one knows who to pray to for a particular world or personal situation, a great deal more can be accomplished.You'll learn where they hang out too. Some of these places have been glimpsed in near death experiences. 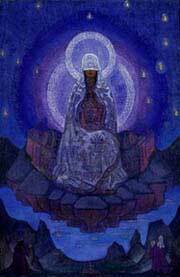 Agni Yoga by El Morya and Nicholas Roerich. This may be my favorite Agni book. From the Preface: "Yoga — that supreme bridge to cosmic attainment — has existed through all ages. Each Teaching comprises its own Yoga, applicable to that step of evolution. The Yogas do not contradict each other. As the branches of one tree they spread their shade and refresh the traveler exhausted from heat." 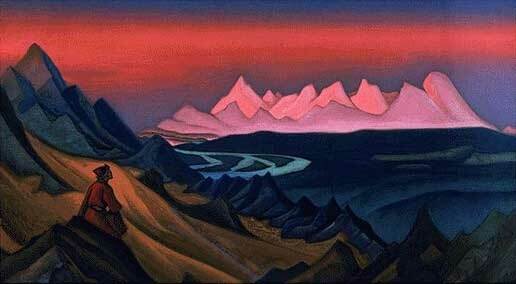 Fiery World I, II and III by El Morya and Nicholas Roerich. Also fantastic books. From the Preface of I: "Ur is the root of the Light of Fire. From time immemorial this Radiant Principle has attracted the hearts of many peoples.Thus, from the covenants of the past let us transport ourselves into future attainments. When you are asked about the second part of Fiery World, answer, "It will be given immediately, provided you keep in mind the affirmed valediction on the long journey and preserve joy and the resolution to hasten in spirit." Meanwhile collect the new findings that science is offering and observe how they are utilized. Do not forget that Agni is nourished by joy and courage and endurance. Thus, let us follow the path of the fiery consciousness." How the Irish Saved Civilization by Thomas Cahill; Because the true esoteric and gnostic teaching of Jesus was rejected in favor of dogmatism and fanatics, the West was plunged into the Dark Ages. Cahill makes the case that much that was valuable from previous civilizations was saved by Irish scribes. I would add that the Islamic world also saved Greek philosophy that was later 'rediscovered' by the likes of Roger Bacon and others. Half around the globe Padmasambhava (730-805) saved and expanded the teachings of Buddha in Tibet as well. Soul Mates & Twin Flames: The Spiritual Dimension of Love & Relationships by Elizabeth Clare Prophet. The book describes the differences between the two. We all have a twin flame but may have several soul mates (which is usually a mission related relationship). Karma dictates which relationship we find ourselves in. Mrs. Prophet describes what you can do the clear the way for twin flames to find one another. The Wisdom of the Soul: Profound Insights from the Life Between Lives, by Ian Lawton; "This fine book provides much-needed information about everything from trapped spirits to demonic beings, from the purpose of incarnation to life on oher planets, from legends of Atlantis to the future of humanity, and from multiple realities to the true nature of time. I cannot recommend it highly enough. --Edith Fiore, pioneering regression therapist and author of "You Have Been Here Before"
Ramakrishna and His Disciples by Christopher Isherwood. might be available 'used' only; A fascinating book about an extraordinary soul whose devotion to the Divine Mother was unparalleled. Vivekanda was his most famous disciple who was the first famous yogi to come to the West. "Every great man nowadays has his disciples, and it is always Judas who writes the biography.” Oscar Wilde. Great quote. Stop and think about that for a moment. . . .
A reviewer at Amazon.com: If you have read Volume 4 "Ascended Master Instruction" by Beloved Saint Germain published by Saint Germain Press, you may begin to finally understand what He is saying on page 60 of that Great Book, when you turn the pages of the most Wonderous "Comte De Gabalis." Is it any wonder the Comte is considered to be none other than Francis Bacon--after feigning death--and continued to teach the Sacred Sciences. And this Francis is the one who transcended death itself and accepted a new name which means "Holy Brother" or "Sanctus Germanus" -- that is, Saint Germain! This is attributed to His Royal Majesty, and just as He used the pen name of "William Shakespeare" to pen the plays, he may have likewise, used the supposed author of this text as a filler. In fact, this manuscript was first published anonymously in 1670 and there was no record of an author or the name deVillar s until later. Nevertheless, the Book is a True Art in Rosicrucian lore, in which contain such Truths, that every theologian, teacher, parent& child would do well to heed. One days they will and shall. Mary Baker Eddy remarked on the subnatural state of marriage, and this book explains why. It explains why the world is in the condition that it is & more importantly, how to get out of it. Some of the most Sacred Knowledge lies herein. You may obtain this or another reprinted edition by Health Research Books which is recommended. There are also books that were printed in 1913 and 1922 that are often available. All contain a commentary by Lotus Dudley which resides on the opposite side of the original text -- so make note of that. If you ever felt there was more to Life than what meets or is visible to the eye, than this book might make you quite merry... More importantly, it may be that the Gnomes & Gnomides, Nymphs, Sylphs & Sylphides, and Salamanders have found a friend who they can n ot only assist but present themselves. Happy Reading! The Little Book of Secrets: Gentle Wisdom for Joyful Living by Chris Prentiss; Book Review by Reverse Spins, editor William House: Warning! Will Robinson! Warning! You are about to enter perilous territory. The economy is going to get worse before it gets better and there is no guarantee it will rebound at all. At such times we all need positive reinforcement and "The Little Book of Secrets" is one of those tools that can bring us out of depression. If we all come up higher won’t that affect the country as a whole? Don't be fooled by the title, it's really a misnomer. If there is one thing I would change about the book, it’s the title. If you became disenchanted with the "secrets" fad a few years back, don't worry, it's nothing like that. These pages are filled with positive witticisms for meditation and upward striving. The book is a perfect blending of East and West philosophy, kind of like ‘the best of I Ching’ meets Aesop. 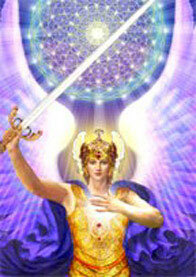 Opens your mind to new ways of thinking and acting by revealing ancient wisdom in a refresing and disarming manner. Here is one of the more profound sayings in the book: "If you neglect your good qualities and virtues, you will cease to be of value to your friends and neighbors. Soon, no one will seek you out or bother about you." Perhaps I like it because it reminds me of this gnostic quote from the Gospel of Thomas: "If you bring forth what is within you, what you bring forth will save you. If you do not bring forth what is within you, what you do not bring forth will destroy you." "Man, Know Thyself!" was once carved above the entrance to a Greek Mystery School. Given its location, the implication is deeply mystical. In Hamlet, the "happy Genius of this Ancient pile!" wrote: "To be, or not to be: that is the question: ..." He then followed that with more questions, creating one of history's great literary paradoxes. Random readings of 'Imitation of Christ' accesses Secret Chamber-3/2 Spirit Daily, We note, in an extraordinary way, how -- during the Church-approved apparitions in Kibeho, Rwanda (in Africa) -- the Blessed Mother reportedly advised one of the visionaries to find a copy of the classic mystical book, Imitation of Christ, open it to a random page, and each time plant the first words she read "deeply into her heart." "In your chamber you shall find great grace that you may lose easily outside," the monk wrote -- amid his dialogues with Jesus. "If your chamber is faithfully dwelt in, it will grow sweet and pleasant to you and will be a very dear friend for the future. Pray, Hope, and Don't Worry: True Stories of Padre Pio-3/28 by Diane Allen, Editor, Reverse Spins: The author collected stories from around the world from people who have had experiences with Padre Pio. She is obviously a devotee of Padre Pio because the book is lovingly written and is very inspirational. This book is an antidote for all that is anti-god. In one sense, because numerous people were interviewed who had direct knowledge of Padre Pio, it is a scientific study of the presence of God in a Saint's life. Not just any Saint however, if you measure saintliness by the quantity of Love and Light manifested, then he is one of the greatest Saints that ever lived. You probably won't be the same after reading this. If you are an atheist or agnostic and are not affected by this book, then there is something deeply wrong with you at the soul level and you need to pray about it. And you certainly will be a new person if you follow the admonishments the author documents throughout the book. There are two books I recommend for the bedside table, this one and any Agni Yoga book. New: A Beautiful Death: Facing the Future with Peace by Cheryl Eckl. Amazon Book Description: What does it take to face death, loss, and grief with confidence and peace? Cheryl Eckl is unexpectedly forced to host life's most unwelcome guest when her husband, Stephen, is diagnosed with terminal cancer and given a few short years to live. In A Beautiful Death, her powerful insights, moving story, and unerring guidance show that we all have the inner resources to face death, and the future, with peace. In fact, she says, when we are properly prepared this experience, while rarely easy, can be profoundly beautiful. A Beautiful Death is a compassionate and honest approach to death as an integral part of life-how to think about it, talk about it, and prepare for it. Eckl helps us overcome our fear and avoidance of painful end-of-life issues as she gently takes us by the hand on a transformative journey through loss and unspeakable grief. In her sensitive and deftly written work, you'll explore five liberating steps for facing death, whether your own or a loved one's. You'll learn how to give fully, nurture yourself and your loved ones, and open to the intensity of sorrow so you can rise up strengthened for your tomorrows. Above all, you'll find the comfort you need to embrace whatever the present brings with grace, confidence, and peace. New: A Beautiful Grief: Reflections on Letting Go by Cheryl Eckl. Amazon Book Description: Finding grace in grieving an inspiring and moving book to revisit again and again. -- To become strong and whole following a serious loss,Cheryl Eckl says we are called to "love our way through to grief's natural conclusion." In this collection of her "soul space" writings, she shares her poignant sorrow from the death of her soul mate and husband, while revealing deep insights of self-compassion, strength, and hope. As her thoughts unfold, you will feel Cheryl encouraging you to nurture your own insights, open your broken heart to the possibility of joy, even entertain fresh adventure as you journey through your own process of grief. The path to healing need not be lonely in the presence of such a companion. The Secret (Extended Edition); Interviews with leading authors, philosophers, scientists, with an in-depth discussion of the Law of Attraction. The audience is shown how they can learn and use 'The Secret' in their everyday lives. Plot Synopsis: The Secret is a feature length movie presentation which reveals The Great Secret of the universe. It has been passed throughout the ages, traveling through centuries... This is The Secret to everything - the secret to unlimited joy, health, money, relationships, love, youth: everything you have ever wanted. All the resources you will ever need to understand and live The Secret. The world's leading scientists, authors, and philosophers will reveal The Secret that utterly transformed the lives of every person who ever knew it... Plato, Newton, Carnegie, Beethoven, Shakespeare, Einstein. People like you and I, who led extraordinary lives. St. Therese of Lisieux(1877-1888) "I believe that my mission is about to begin, my mission of making known the love of God as I love him, to give him my little way to souls." St. Gemma (1878-1903) "At that moment Jesus appeared with all his wounds open, but from these wounds there no longer came forth blood, but flames of fire. In an instant these flames came to touch my hands, my feet and my heart." John the Divine, John the Revelator and John the Beloved (6 AD; died c. 104) "The youngest of the Apostles (estimated at about 25 at the time of his call), John, seems to have been a follower of John the Baptist, so particularly does he relate all the circumstances of the precursor's life, yet through modesty conceals his own name, as in other parts of the Gospel bearing his name. ..."
Saint Joseph Desa of Cupertino "is one of the most interesting and richest examples of a Christian mystic. Not only did he possess the gift of defying nature though levitation, he also overcame his intellectual nature through the gift of "infused knowledge." The fame of this "flying friar" quickly spread and soon he became a counselor and confessor to many nobles and humble folk alike. ..."
Jesus; from The Gospel According to Thomas (The Gnostic Gospels by Elaine Pagels).